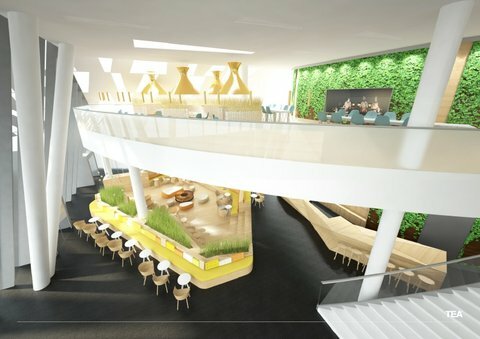 With unique architecture and boutique rooms, AC Hotel Bella Sky Copenhagen is a stylish destination for business or leisure. Explore the many attractions in nearby Copenhagen city center and enjoy convenient shuttle service to and from the airport. With a gym, Aqua Spa and complimentary Wi-Fi, our hotel offers an exceptional lodging experience, amid the very best of Copenhagen. CABINN Metro Hotel is one of Denmark’s most modern hotels, designed by the American architect Daniel Libeskind. With its location in peaceful Orestad, the hotel is just 5 minutes by train from Copenhagen Airport, 10 minutes by metro from central Copenhagen and a short walk from the Bella Center convention centre. Wi-Fi and Tea and Coffee in all rooms. 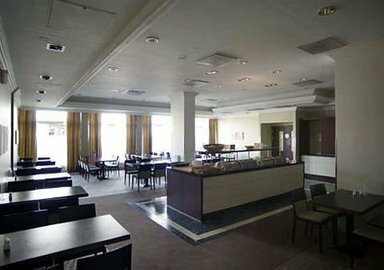 The hotel also offers an ultra-modern conference centre, which can be used for anything from short morning meetings to longer courses for 10-65 participants. Conveniently located off the E20 motorway, Crowne Plaza® Copenhagen Towers hotel offers easy access to central Copenhagen and to Malmo in Sweden. Copenhagen’s popular visitor attractions, such as Tivoli Gardens, the world-famous Little Mermaid and Copenhagen Zoo, can be reached with ease. Take a leisurely canal cruise or sample some Danish lager at the Carlsberg Brewery. Field’s, Denmark’s largest shopping mall, is next door to the hotel. The modern Scandic Sydhavnen hotel is just 10 minutes' drive from Copenhagen Airport and within easy reach of Copenhagen attractions. 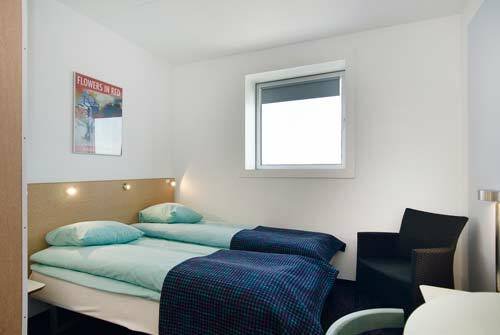 Scandic Sydhavnen has 281 comfortable rooms for both business and leisure travellers. You can eat and drink in the restaurant and bar, or unwind in the gym and sauna. 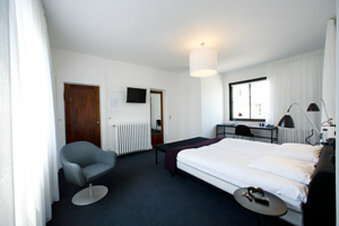 Arrange a meeting in 8 modern rooms and enjoy complimentary wireless internet access. Take in spectacular views of the cityscape from the towering Radisson Blu Scandinavia Hotel in Copenhagen, located in the city center just a short walk from many prominent company offices and attractions. Make your way around the Danish capital with ease, thanks to the several transportation options near the hotel. 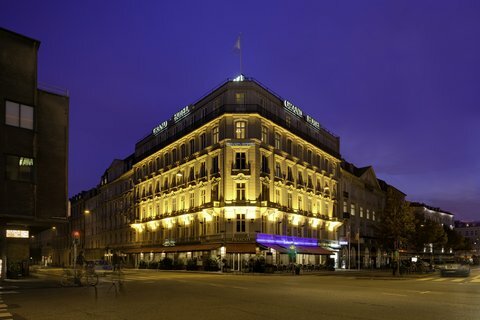 Our hotel’s 544 rooms and suites ensure a good night’s sleep during your stay in Copenhagen. All feature free high-speed Wi-Fi and premium toiletries, and if you're looking for even greater relaxation, you can book a treatment at the hotel spa. 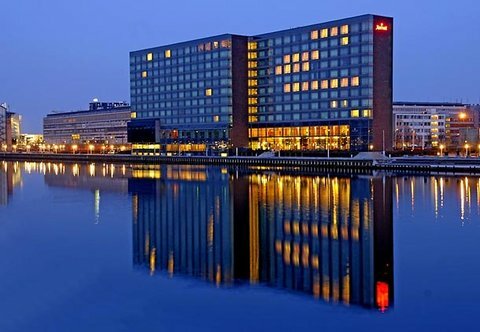 The Copenhagen Marriott Hotel is ready to help you create lasting memories here in Denmark's beautiful capital city. 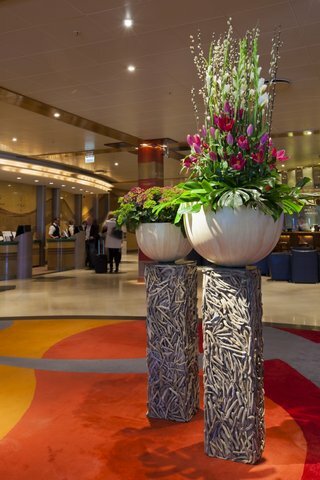 We offer an unparalleled location right on the waterfront, just moments from popular attractions including Tivoli Gardens and the legendary Stroget. Uncommonly spacious, stylishly appointed rooms and suites provide free Wi-Fi, ample work areas and views of either the water or of the city of Copenhagen. 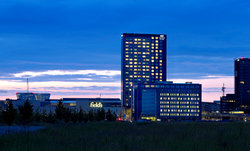 The Park Inn by Radisson Copenhagen Airport Hotel is just 5 minutes from Kastrup Airport and less than 15 minutes from the city center. With fantastic public transport options, this hotel gives you easy access to the airport and the city, whether you are visiting for leisure or business. Enjoy comfortable, modern accommodation and access to services such as our spacious fitness center, indoor swimming pool, on-site restaurant and lounge bar. With something for everyone, Park Inn combines elements of a family hotel and an international conference hotel. When you stay at the Quality Airport Hotel Dan, you're not just within easy reach of Copenhagen Airport! There are also a number of popular attractions nearby including the Amager Beach Park with Northern Europe's largest Aquarium "The Blue Planet", as well as southern Sweden and Copenhagen city centre. We are one of the few hotels in Copenhagen to offer a complimentary shuttle service to and from Copenhagen Airport. The bus departs Monday-Sunday between 6am-9.45am and 6pm-9.45pm. 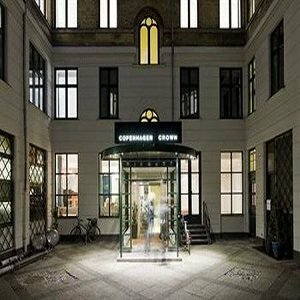 Hotel Copenhagen Crown is a peaceful oasis in the heart of Copenhagen's Latin Quarter, the vibrant and trendy Vesterbro. Just outside the door you will find a myriad of restaurants, great shopping and Vesterbro Square with cozy cafes. Most of our bright and spacious rooms face away from the street noise and ensure you a pleasant and undisturbed night's sleep. The classic Grand Hotel lives up to its name when it comes to charm and Scandinavian style. Built in 1892, the hotel has been lovingly maintained in an elegant, classic style boasting every modern amenity. Nestled in the heart of the happiest city in the world, The Grand Hotel is the ideal location for business or pleasure. The Eventay is a division of The Eventay Group.